The main feature at Cerevo’s booth will be a special pre-release reference demonstration of FlexTally and vMix, the software-based video switcher, which will be supported via a firmware update due for release in Q2 2019. Cerevo will also be displaying a reference setup using the V-1HD switcher from Roland for the first time. The two Roland switchers are scheduled to add USB connection compatibility with FlexTally in the future. 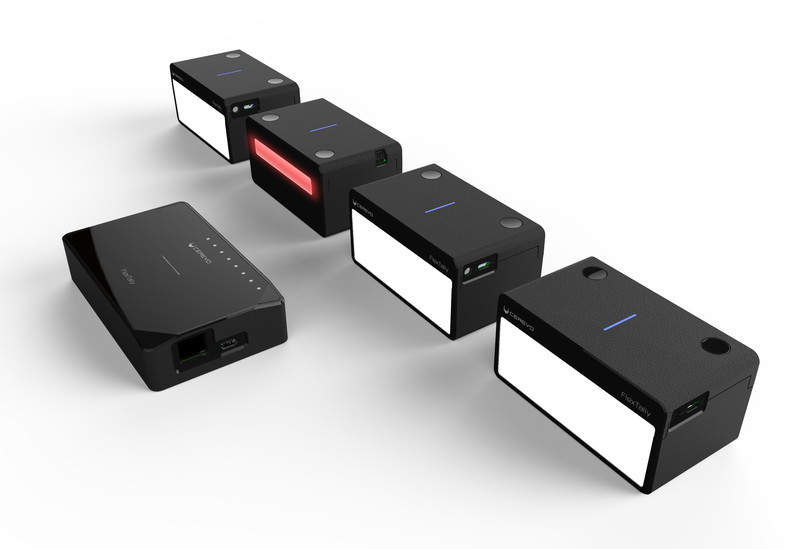 The standard package of FlexTally contains one station unit that connects to a video switcher and four lamp units that are to be attached to each camera, each lamp illuminates automatically according to the switching operation. The Tally Lamp System can be used for recording or live streaming with multiple cameras. Without a professional broadcasting studio camera setup, on camera performers or presenters have no way to know which of the multiple cameras is active. Using a tally lamp system, an indicator lamp called a “tally lamp” is set near the lens of each camera and the tally lamp with a pilot lamp to show which camera is active. Since its launch, FlexTally has been well received by professional and individual users around the world for its ease of use and simple operation. It is possible to connect directly to Cerevo’s LiveWedge switcher without going through a router. 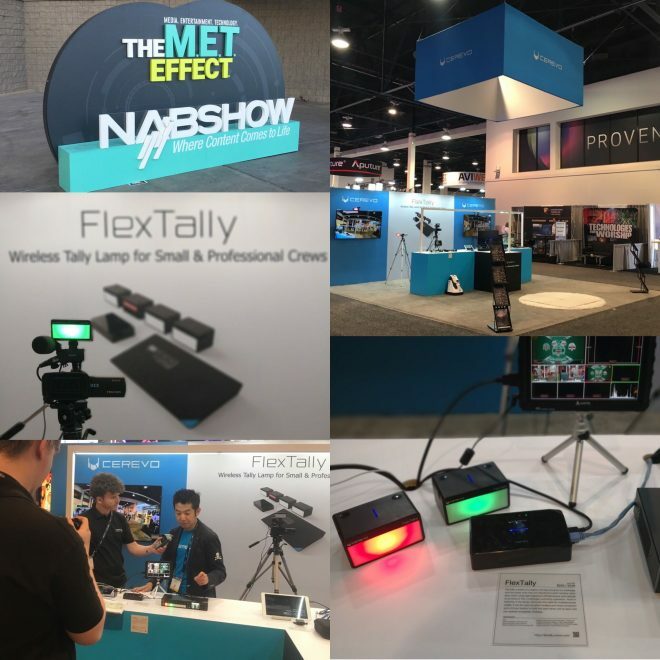 In addition, FlexTally is compatible with other brands switchers*1 such as Blackmagic Design’s ATEM series, NewTek’s TriCaster series, as well as other switchers that support GPIO-capable connections. Furthermore, vMix software switcher vMix is now supported by FlexTally. Combining the software switcher and FlexTally allows for an easy way to deploy multi-camera live streaming to further enhance production quality. When used in combination with the PC-less live streaming and recording device, LiveShell X, stable 24-hour continuous live streaming without interruption is possible using the RICOH R Development Kit. Images shot with the two fisheye lenses can now be stitched internally, this eliminates the need for stitching via a PC application and realizes easy-to-handle video output that does not require post-processing. 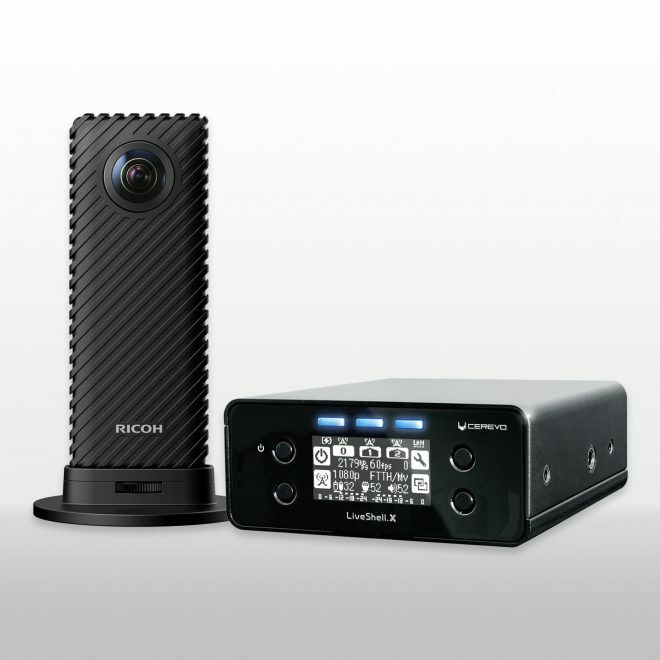 Use the RICOH R Development Kit to share long duration live streaming such as outdoor events, outdoor live concerts or club events, virtual tourism or use as a monitoring camera to enable you check your pet is safe at home while watching in real-time when at work or travelling. *This list is the result of verification tests by Cerevo. For details of FlexTally and of compatible switchers please see the following. A selection of high resolution images of FlexTally can be found at the link below. *1 To connect to your video switcher, you need to set up using either dedicated software provided by Cerevo or a specifically configured cable for GPIO connection. The cable should be created based on the tally output specifications of the video switcher you are using and FlexTally’s tally input specifications. Specifications of the tally output may be different for each brand and switcher model. Supported OS for the dedicated software is Windows 10/8.1/7, Mac OS X is scheduled to be supported in the future. *2 Specifications for the US/EU product version. The version for Japan uses the 315MHz band for connectivity. *3 Up to 32 lamps will be supported in a future firmware update. 8 lamps can be controlled when connected via GPIO connection to your switcher. *4 vMix will receive support for FlexTally in a future firmware update which is scheduled for Q2 2019. Cerevo Inc. was founded in 2008 and is located in Tokyo, Japan with a branch office in Redmond, WA, USA. Cerevo is a small batch company focusing on making unique networked devices and connected solutions for both consumer and professional users based on its “Global Niche” concept. Cerevo’s products have been recognized globally and are sold in more than 85 countries and regions.